ACTM had its Open House themed Blueprint: Your Future Under Construction where we invited some incoming Seniors to have a taste of ComTech Life. Super fortunate that NSTP ended early and I got to school right away. Ate quick lunch then headed to the SocSci 1 and 2. 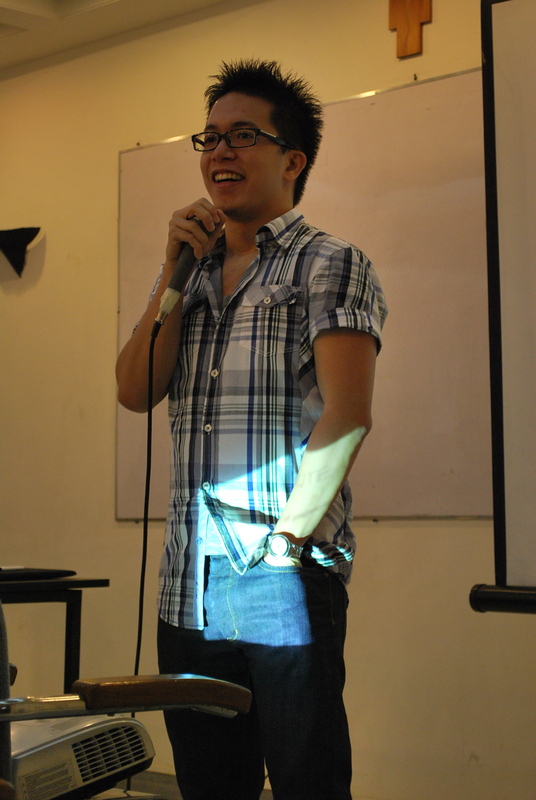 The only parts I got to attend were the performances of talented ACTeaMers and a bit of Nate Dy-Liacco’s talk. 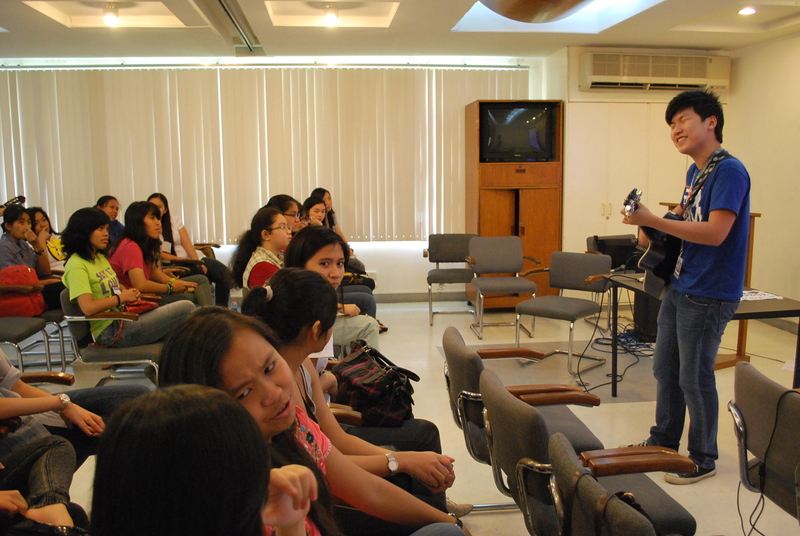 Here, John is singing to the participants. It so happened that all of them were girls! haha! Jecee, Jonah and Ayna! 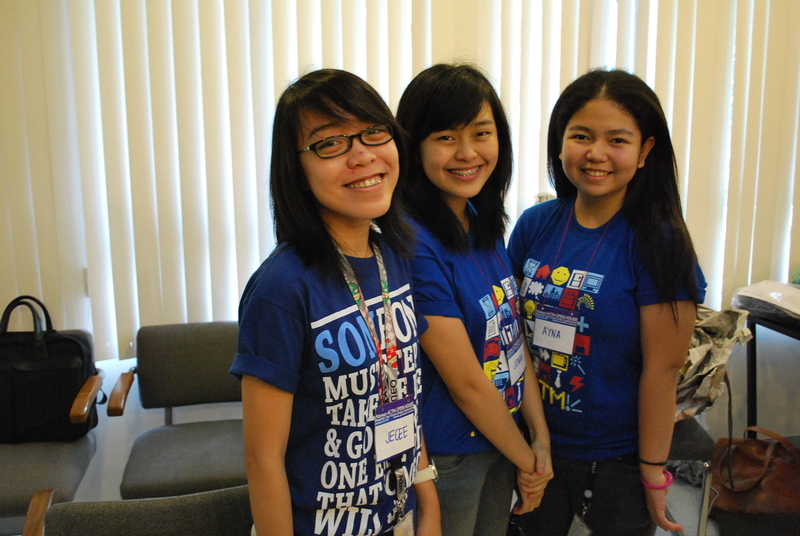 Freshie ACTM volunteers! Josh singing “Teenage Dream”! 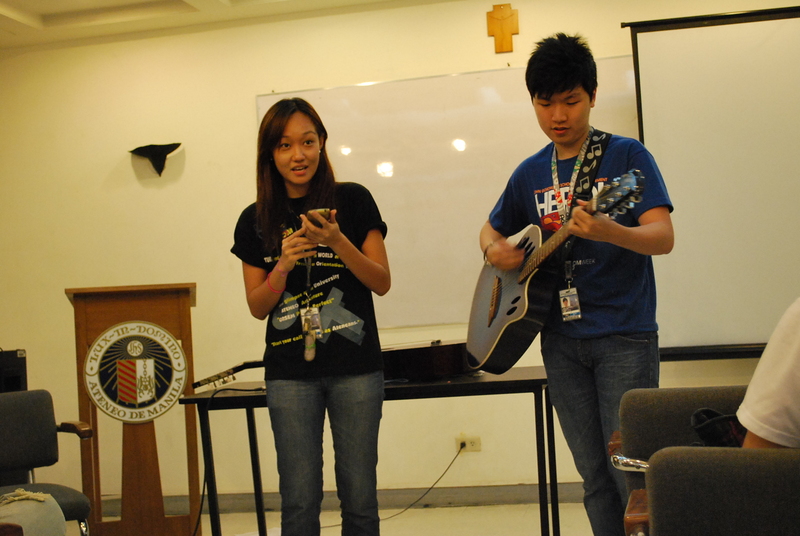 He asked me beforehand if he should sing “Teenage Dream” or “She Will Be Loved”. Dapat pa la “She Will Be Loved” na lang! Den and Al! Cutie that Den used the iPod/iTouch as guide for lyrics. They sang an old song. 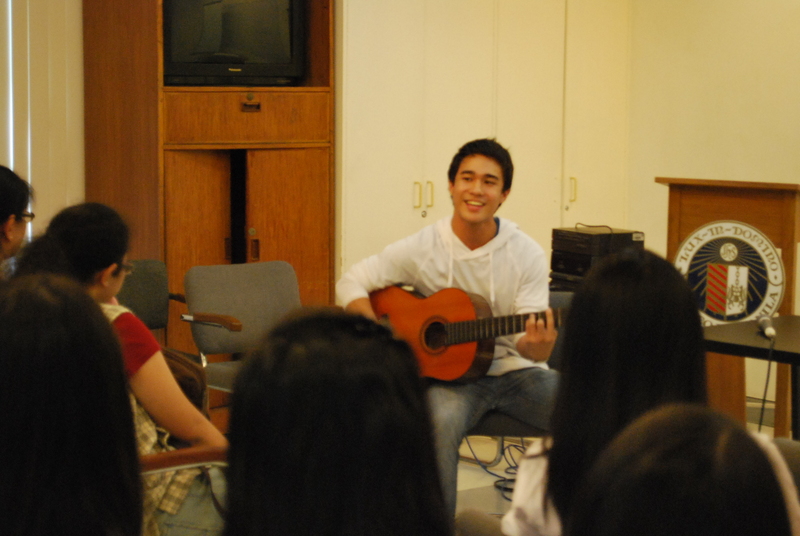 Then Al went solo and sang “Ako’y Sa’yo, Ika’y Akin”. A classic Filipino nakakikilig song. But the face of lady girl in pink was so funny I had to take a picture of it! haha! peace!! Nate Dy-Liacco’s time. I learned a lot from his talk even if I didn’t finish it! Haha! Well it was nice to confirm what I learned over the Christmas break. So yay! I wanna share. There’s this part he asked the participants something like if they’re a brand what would they be an why. The question has been asked before in this thing I attended and a girl joked “I would be the Bar…because I’m always open *wink*” Haha! 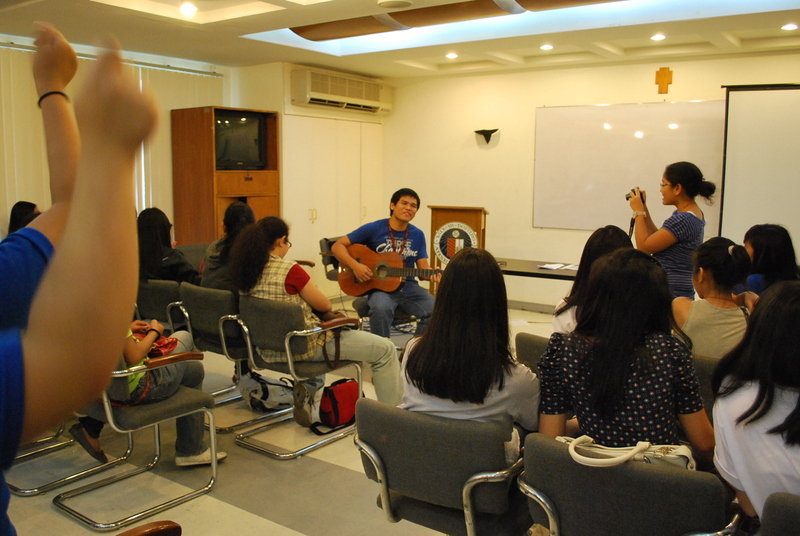 When he introduced himself he asked who came from Xavier and funny that Zyg and Sir Aly raised their hands. I just had to take a picture of them. Xavier represent? Haha! 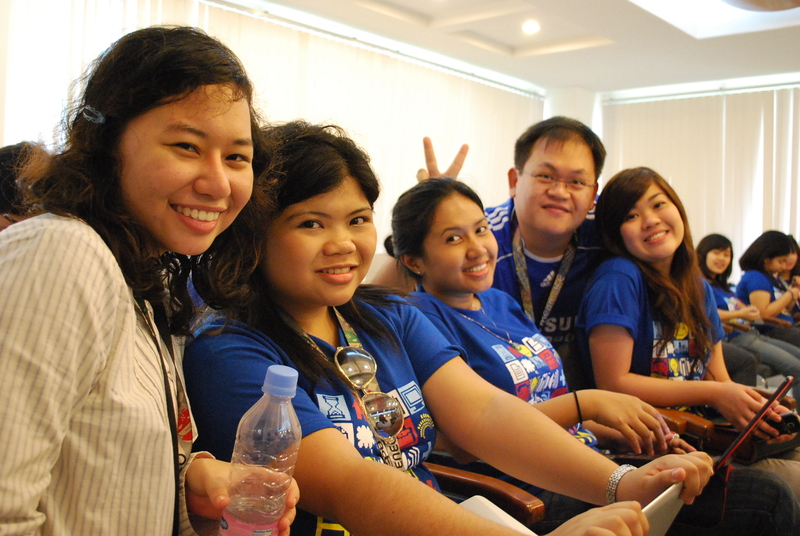 Bibien, Trisha, Nikki, Mindy and Sir Aly goofing around! Haha! Even if I wasn’t there the whole time, I can say that the project is a success. 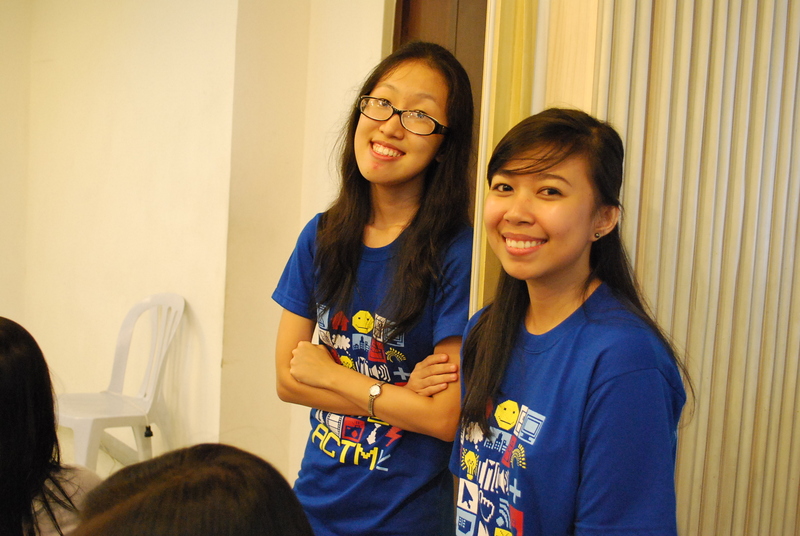 Hopefully though, women wouldn’t be the only ones in ComTech and more guys will be enticed to join. 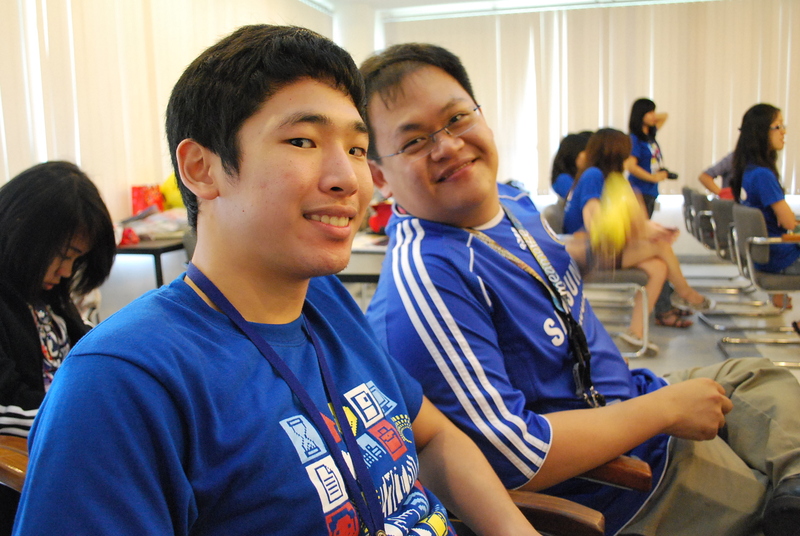 Well, if they find out a lot of girls are in ComTech, guys just might flock to our program :> Haha! Good job Kirsty and Aea! and I am really sorry for all the hassle! ← Take Me Away! A Hiding Place!